Flashcards can be a great way to learn vocabulary, especially when you study regularly. Most of us carry smartphones around all day so it’s easy to dedicate a few minutes while waiting for the bus, riding in a cab, standing in line, etc. 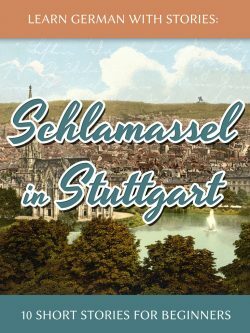 Recently, we’ve started integrating downloadable flashcards into our German learning books over at books.learnoutlive.com (look for the “flashcards” tag in the sidebar) so that you can start studying the new words as soon as possible. 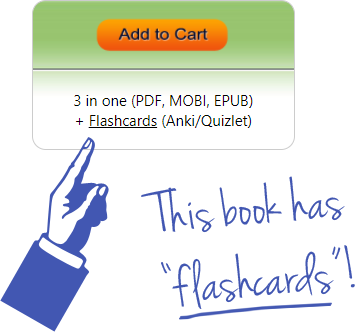 The flashcards come in two different formats: Anki and Quizlet. If you already know what Anki is, you can just start extracting the .apkg files form the ZIP archive, import them into your Anki app and start studying. If you don’t use Anki yet, it’s a highly recommended little free tool for studying flashcards that is available for desktop computers (download), smartphones and tablets (AppStore | PlayStore) and allows for easy syncing between devices. If you’re not a regular flashcard user or are just getting started with this type of vocabulary learning, our flashcards also are available via Quizlet, a web flashcard application that allows you learn a set of cards in many different ways (reading, writing, gaming, etc. ), without downloading anything, directly in your browser! You can find the links to the Quizlet sets within the zip files or simply use this link:. Do you use flashcards to study vocabulary? Which is your favorite app? Let me know in the comments below!